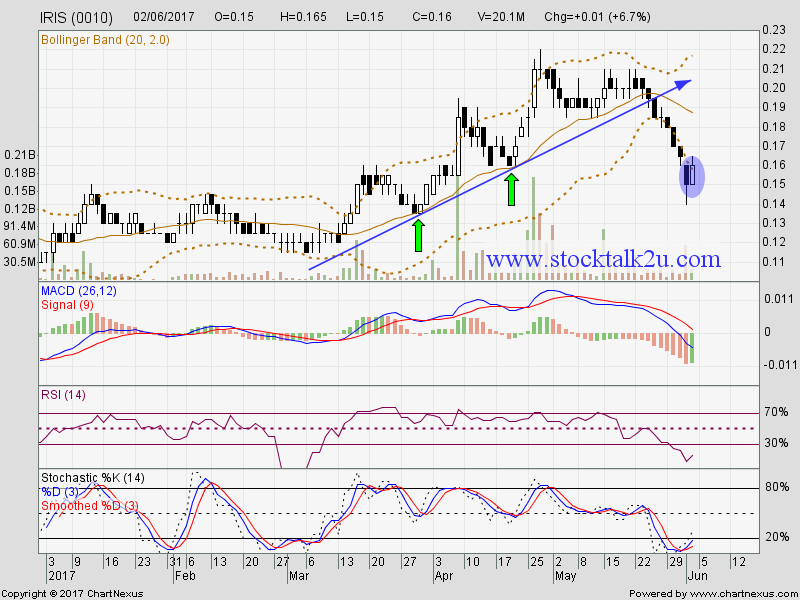 IRIS (0010) retrace down from RM0.21 to RM0.15 level. 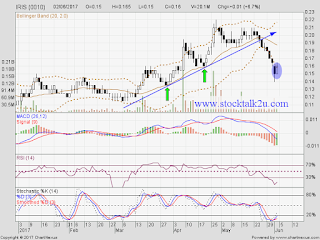 Stochastics %K on BUY call. Immediate resistance @ RM0.16 level. Subsequent resistance @ RM0.185 level. Subsequent support @ RM0.12 level.